Let’s get straight down to business: Porcelain is a beautiful thing to behold. As the first offering by new publisher Improper Books, it’s quite stunning in its execution. 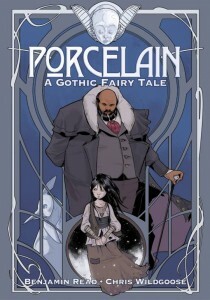 Written by Ben Read, with wonderfully rendered art by Christian Wildgoose, Porcelain tells the story of a young street urchin taken into the care of a wealthy benefactor – made rich by the mysterious Porcelain material of the title. The Porcelain imbues inanimate objects with life, something the benefactor has used to create servants and animals. 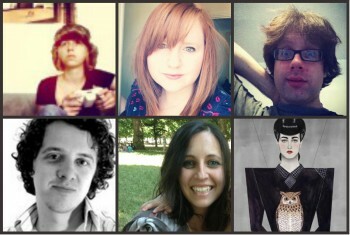 From the outset, you know there are secrets to be uncovered, and that’s the joy of this story. What is it that makes the magical Porcelain work? It’s a secret the street urchin can’t wait to find out, and you just know that uncovering it will cause a world of problems for her. The story is creepy, compelling, and not without its savage turns. There is a dark heart to this tale, which treads the fine line between fairy tale and horror story magnificently. So in all, a very Grimm tale for 21st Century, and really quite a delight. More please! 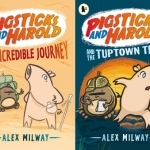 Pigsticks & Harold and the Tuptown Thief by Alex Milway – Win a Free Copy!